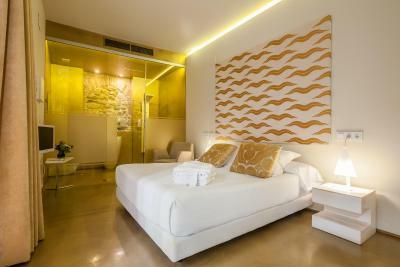 Lock in a great price for Hotel Viento10 – rated 9 by recent guests! 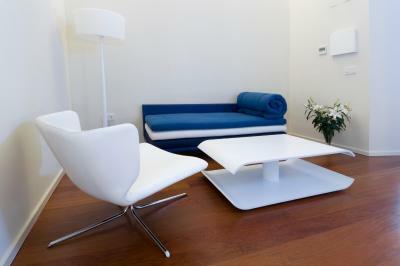 The staff is exceptionally helpful, friendly, and wonderfully warm. 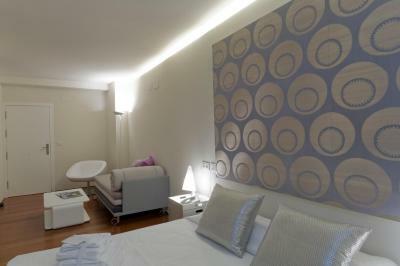 The location is excellent for location to the sights while also being away from the bustle of the central tourist core. The hotel itself is wonderful, quiet, warm, sunny - excellent and relaxing! Delightful owner and receptionist. 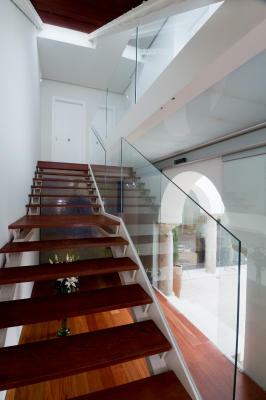 Unusual property - small, historic and aesthetic. 10 mins walk from the centre of the old town. Good location. Beautiful breakfast. Small and perfect with a very friendly and helpful team running it. Once you open the door to this boutique hotel-- located on a very desolate street-- you enter a world of beauty and comfort. 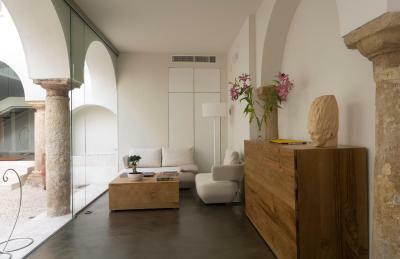 Intimate and meticulously designed, Viento 10 is a respite from busy downtown Cordoba. 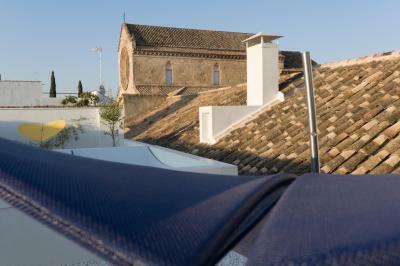 We loved the well appointed rooms, the thoughtfully prepared breakfast and the rooftop views. 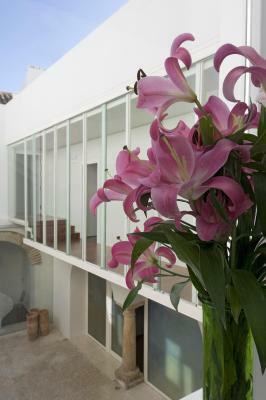 Even the intense scent of lilies seemed designed to captivate. 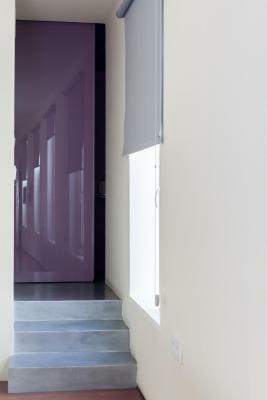 A lot of aesthetic care has been put into the planning here, and we were thoroughly delighted. The staff are excellent here, friendly, helpful and pleasant to deal with. Parking is available a couple of doors up, communication is excellent, you just phone them when you get to carpark and they come immediately to let you in. Breakfast was the best we had on this trip. Room was nice, bed comfortable. 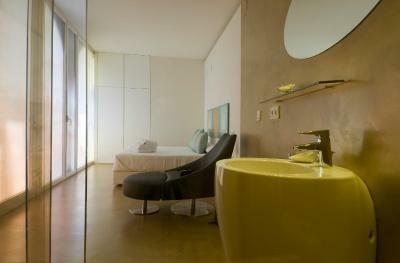 Staff is great, we had a wonderfully large room with a great bathroom. Breakfast was wonderful, we had stayed here before and liked it so much we decided to return. What a delightful hotel . We enjoyed our stay very much, especially the lovely welcoming staff. The room was a good size, excellent bed and very good bathroom. The breakfast was very tasty and as my husband is a coeliac, they provided alternative for him. 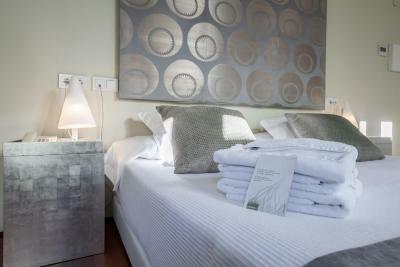 The hotel is situated at the edge of the historical area and is easy walking from all the main attractions . Being in a car free street it is extremely quiet. Great breakfast. Quiet but convient location. Patio Festval in the city while we were there. Very quaint place and nice location away from major crowds. Check in reception was nice. 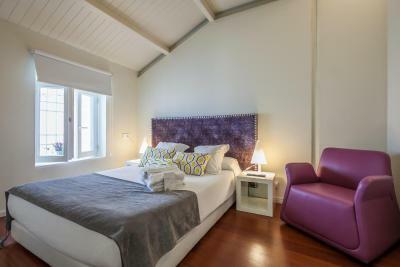 Hotel Viento10 This rating is a reflection of how the property compares to the industry standard when it comes to price, facilities and services available. It's based on a self-evaluation by the property. Use this rating to help choose your stay! 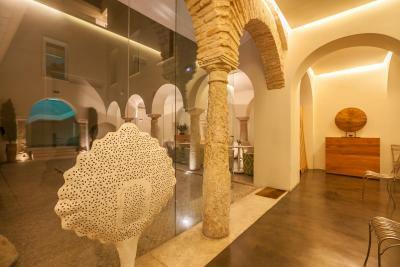 One of our top picks in Córdoba.This stylish hotel is located in Córdoba’s beautiful old town, 12 minutes’ walk from the spectacular Mezquita. 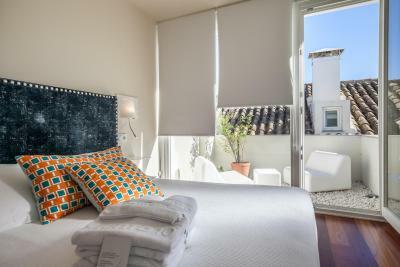 It offers free Wi-Fi, chic design and a rooftop terrace with views over Santiago Church. 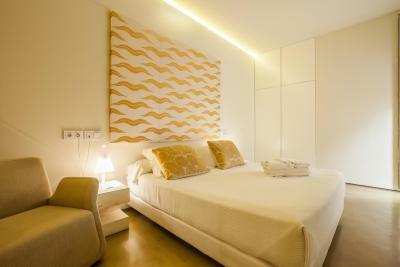 Rooms at Hotel Viento 10 feature modern décor. 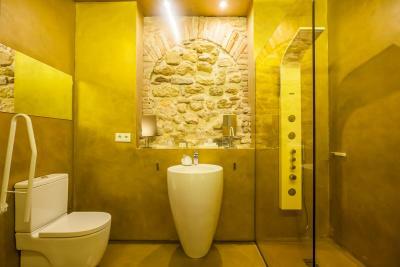 Each one comes with a private bathroom. 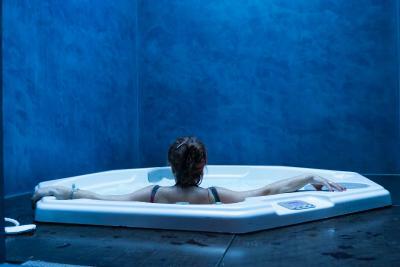 The Viento 10 has a sauna and hot tub, and massage services are available. 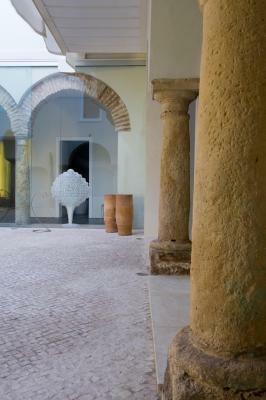 You can relax in the pretty, restored 16th-century courtyard. 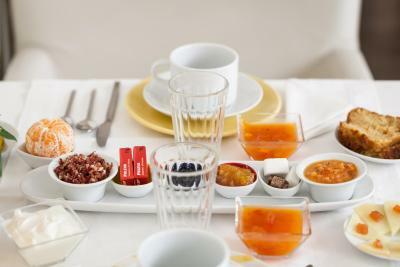 A varied continental breakfast including freshly squeezed juice is served daily in the hotel’s contemporary dining room. 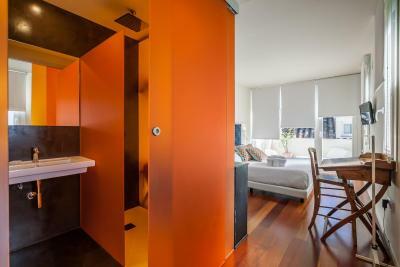 There is a wide variety of restaurants and bars within a 5-minute walk of the Viento 10. Córdoba’s Museum of Fine Arts is a 7-minute walk from the hotel and guests can go for a relaxing walk along the Guadalquivir River, located 650 feet away. 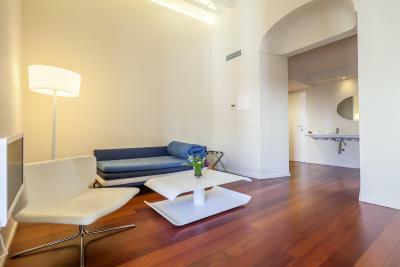 The Viento 10 offers limited private parking and there is a bicycle rental service within a 5-minute walk. 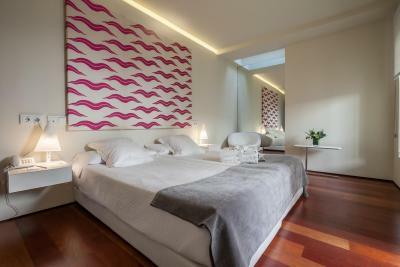 When would you like to stay at Hotel Viento10? 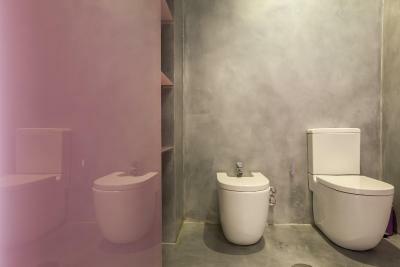 Decorated in attractive pink and lilac tones, this modern, air-conditioned room has free Wi-Fi and a private bathroom. Private parking is available at a location nearby (reservation is needed) and costs EUR 14.30 per day. 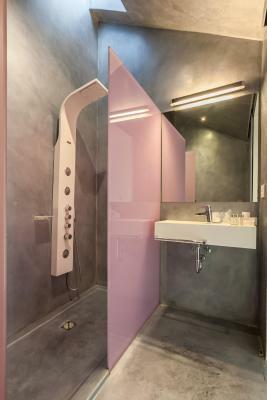 This modern, air-conditioned room features pale pink finishes and a private bathroom. It is slightly smaller than the standard room. 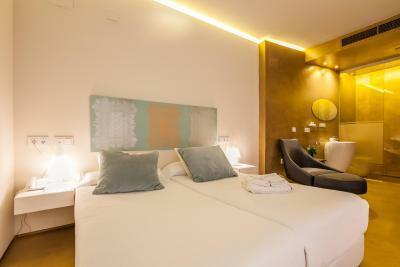 This modern, air-conditioned room features chic décor with subtle green and blue finishes, free Wi-Fi and a private bathroom. It has soundproofing and a sitting area. 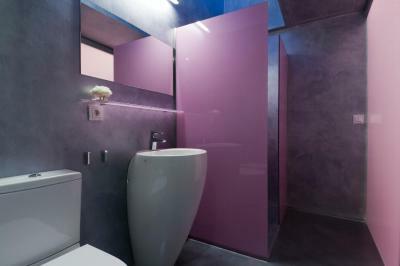 This modern, air-conditioned suite is decorated in attractive gray and lilac tones, and features free Wi-Fi and a private bathroom. It has soundproofing and a sitting area. 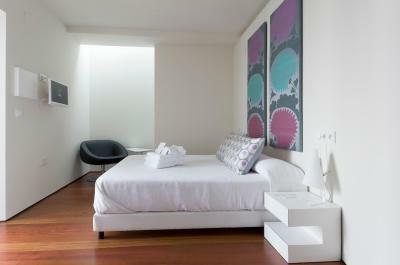 This modern, air-conditioned room features free Wi-Fi and a private bathroom. 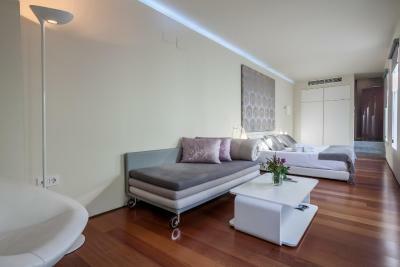 It is slightly larger than the standard room and includes stylish décor. 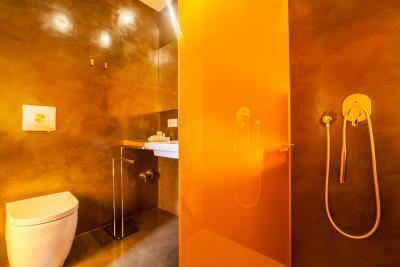 This modern, air-conditioned room features free Wi-Fi and a private bathroom. 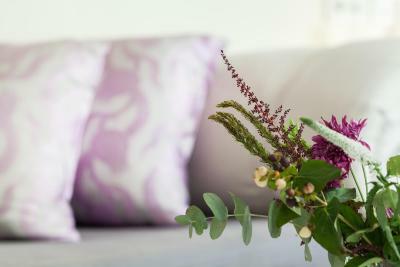 It has chic décor with pink and lilac finishes. 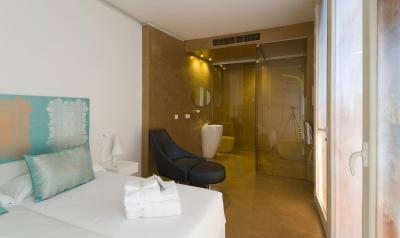 This modern, air-conditioned room features free Wi-Fi and a private bathroom, separated from the room by glass panels. This double room features a DVD player, cable TV and CD player. 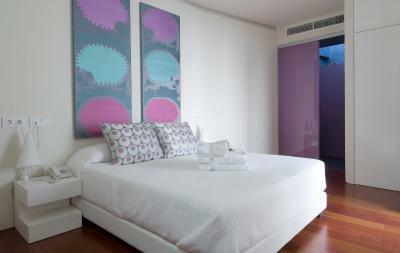 House Rules Hotel Viento10 takes special requests – add in the next step! Hotel Viento10 accepts these cards and reserves the right to temporarily hold an amount prior to arrival. The owner was very friendly and gave us great tips about where to see and where to eat. Had an excellent massage.Helpful staff. 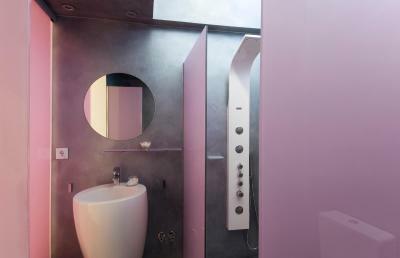 Unusual boutique hotel. Great breakfast. The staff were very welcoming and friendly. The hotel is small and intimate. A very warm experience. 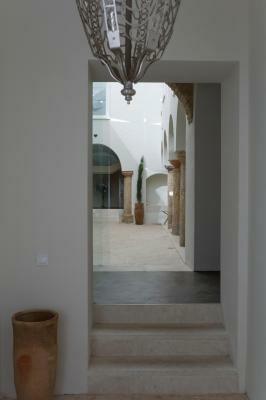 A lovely touch of real Spain and thankfully nothing like a chain hotel. Also a very good location. Very happy to recommend. 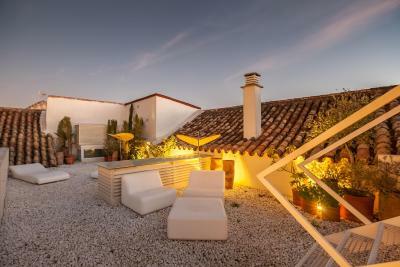 Beautifully designed with a great rooftop. Staff was super helpful and friendly. Would have preferred a window in the room. Staff were excellent and very helpful. Our room in the lobby floor was a bit noisy in the early mornings as guests walked by to check out. The person assisting us for check in/check out was kind enough to allow us to sleep in. Just a word of advice ! There is no lift so travel lightly! The location was superb. 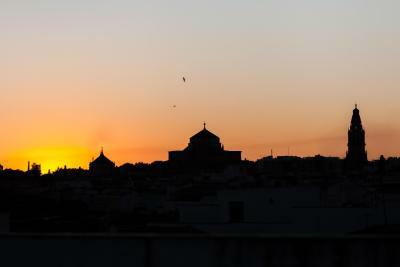 Just a short walk from the Mesquita and lots of great restaurants. 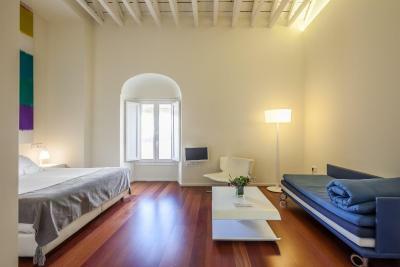 The location was perfect, just 15 minutes walk from the main tourist sites but in a quiet location. 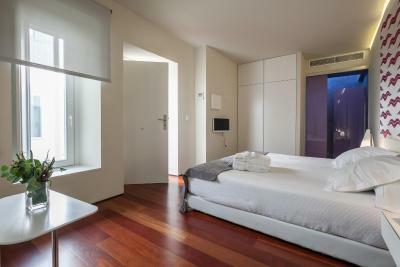 The hotel is small and in a renovated traditional building but very modern and relaxing. The room was very clean and comfortable. The staff were extremely helpful and friendly. The breakfast was delicious with freshly squeezed orange juice, freshly baked bread, freshly made coffee and many tasty items. The private spa facilities were excellent. It was one of the best hotel experiences we have had in the world and would definitely stay again. This hotel was so bad that we checked out within half an hour of checking in. There was no service to speak of. 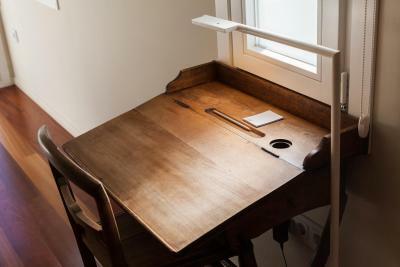 This is an Airbnb masquerading as a hotel, and is shocking value for money.